Epsom Derby and Eclipse Stakes winner Golden Horn will not run in Saturday's King George VI and Queen Elizabeth Stakes at Ascot. There had been a question mark over his participation in the great race after heavy rain on Friday. 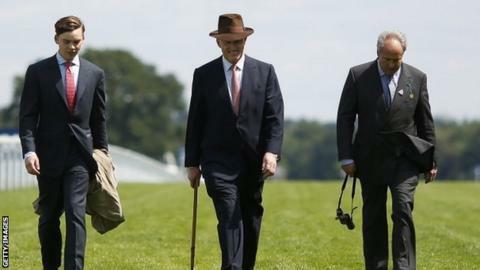 After walking the course, trainer John Gosden felt conditions were not in his charge's favour. "It does not make sense bottoming him out in ground like that and stretching his stamina," he said. "We are frustrated, but I have left it as late as I can. It would be wrong to ask this sort of question in the middle of the season - if it was his last run it would be a different matter."